Perhaps you’re also planning on visiting Paris for some more excitement and energy? Don’t forget to download our Free Paris Night Guide that shares the best recommendations for Paris’ night scene. Brittany has a wonderfully undiscovered feel to it. 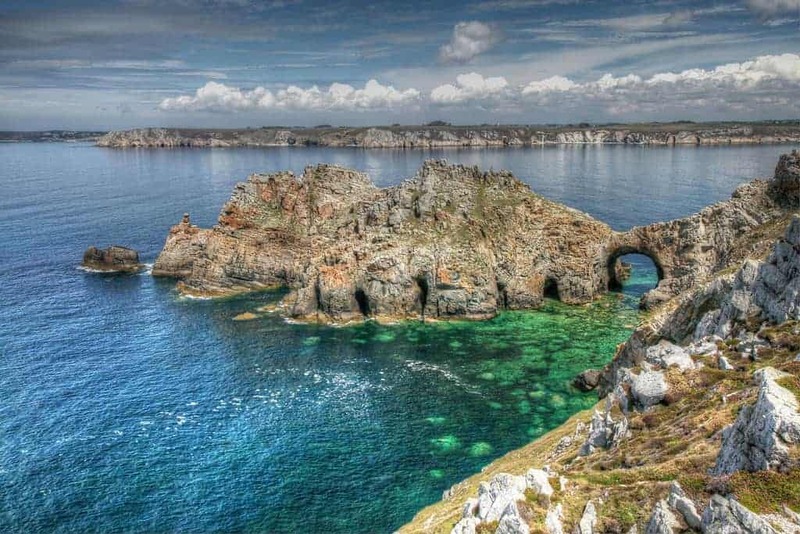 The dramatic coastline, medieval towns and mystic forests attract explorers and tourists all year-round. The fiercely independent locals celebrate Breton culture and love Breizh (how you say “Brittany” in the local language). 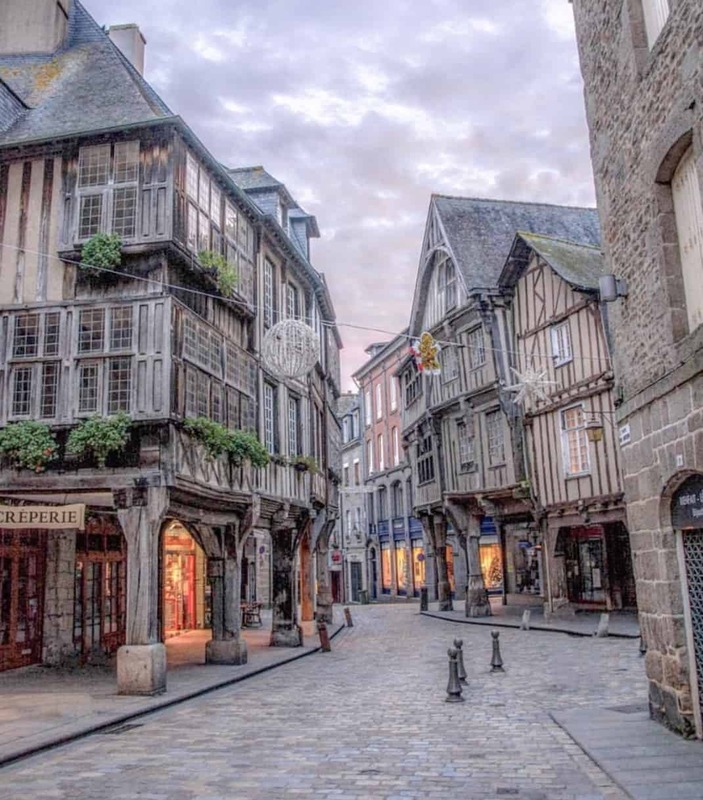 From the stunning Saint Malo, the world famous Mont Saint Michel, the charming town of Dinan and lesser known gems including Quimper and the megaliths near Carnac, there is plenty to see in the region. Not to mention the local cuisine! Deliciously crispy buckwheat galettes, fresh moules marinières and homemade cider are just a few of the culinary delights you must try during your stay. It’s tough to choose what to fit into a two-day trip in an area that is so full of history and natural beauty. We’ve put together the perfect itinerary if you only have 48 hours to spend in the region. With suggestions on what to visit, eat and where to stay, we’ve selected all of Brittany’s must-see attractions! No trip in the area is complete without stopping at the UNESCO world heritage site of Mont Saint Michel. The hilltop Abbey is rightfully known worldwide as a must-see iconic monument. 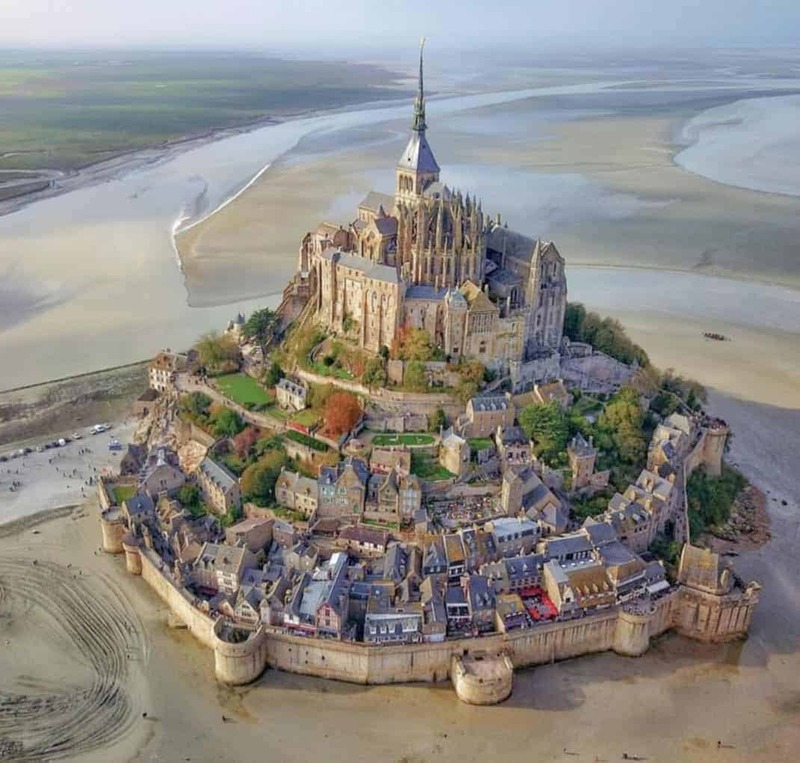 This magical island and its gravity-defying monastery was the main pilgrimage site for centuries. This location has long inspired awe so make sure to check it out! 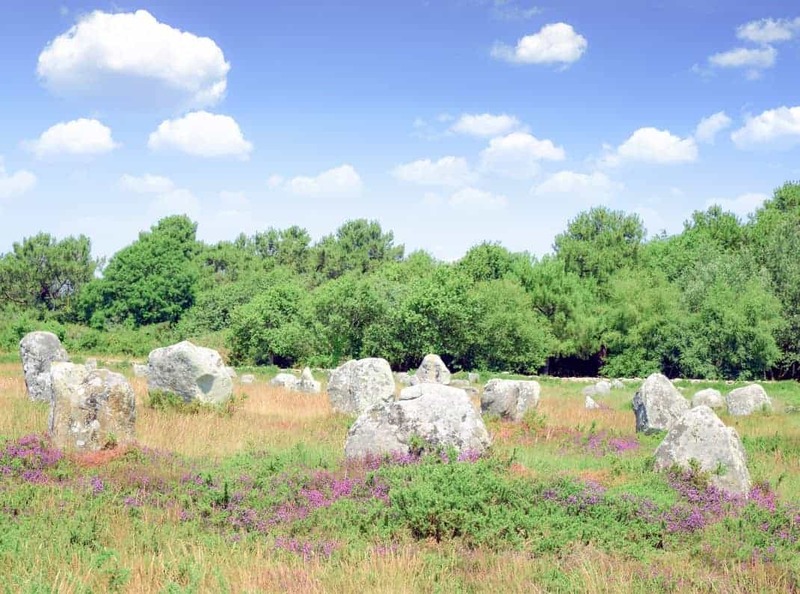 The Breton Stonehenge is believed to be over 7,000 years old. Some 3,000 standing stones are perfectly aligned over several miles. It’s the largest gathering of standing stones of this type in the world! To this day, the structure is shrouded in mystery. The stones have been said to represent a stone army, a place of worship or a gravesite. Dinan is an almost perfectly preserved medieval town surrounded by 2 miles of protective stone ramparts. We highly recommend making time to stop here during your trip! It’s perhaps the most charming town in all of Brittany. Hike up the steep rue de Jerzual for breathtaking views of the old port. Stroll through the English gardens to St. Catherine’s cathedral to enjoy the intricate stained glass windows. 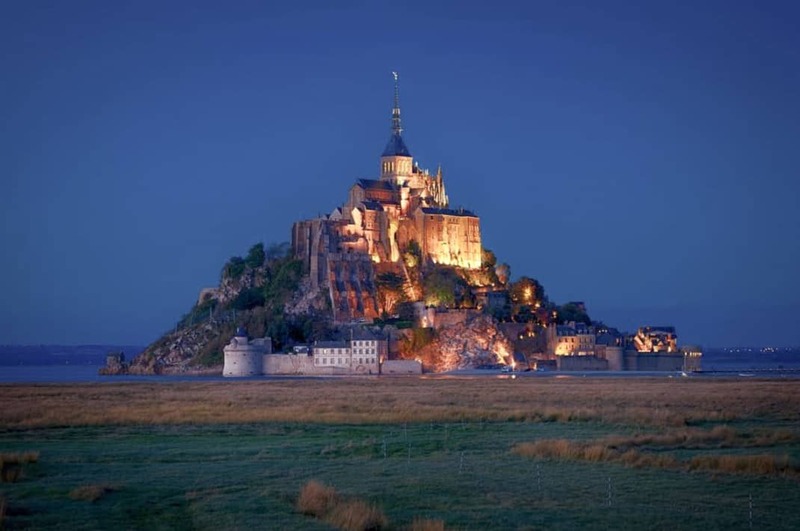 Start your morning off with a tour of the Mont Saint Michel. The Abbey atop the hill is one of the most remarkable sites to see during your trip. Made up of a superb collection of clerical buildings, church, refectory and the gardens for what has been called the “Marveille” (Marvel) since the 12th century. This UNESCO world heritage sight is definitely a must-see. After visiting Mont Saint Michel, drive 1 hour west to Cancale. Cancale is a small, yet extremely lively, picturesque fishing port. It’s also considered the oyster capital of France! Visit the Saint Meen Carthedral to see some beautiful stained glass windows. Take a walk along the harbor to enjoy lovely views of the port and Saint Michel Bay. Stop by the oyster market to try these local gems! From Cancale, head to Saint-Malo for the evening and night. Saint-Malo is surrounded by tall, granite walls that kept it safe for centuries. Home to the famous explorer Jacques Cartier, the city is known for its independent streak. Visit the imposing Saint-Malo Cathedral to learn about the city’s history. Take a walk around the surrounding city ramparts for panoramic views of the ocean. After a relaxing night in Saint-Malo make the 45-minute drive down to Dinan. Often called Brittany’s prettiest town, this almost perfectly preserved medieval gem is sure to delight. Stroll through old town to see St. Catherine’s tower and walk up the steep rue de Jerzual for beautiful views of the old port. Enjoy lunch near the Place du Guesclin, where merchants have been selling their products for over 700 years. 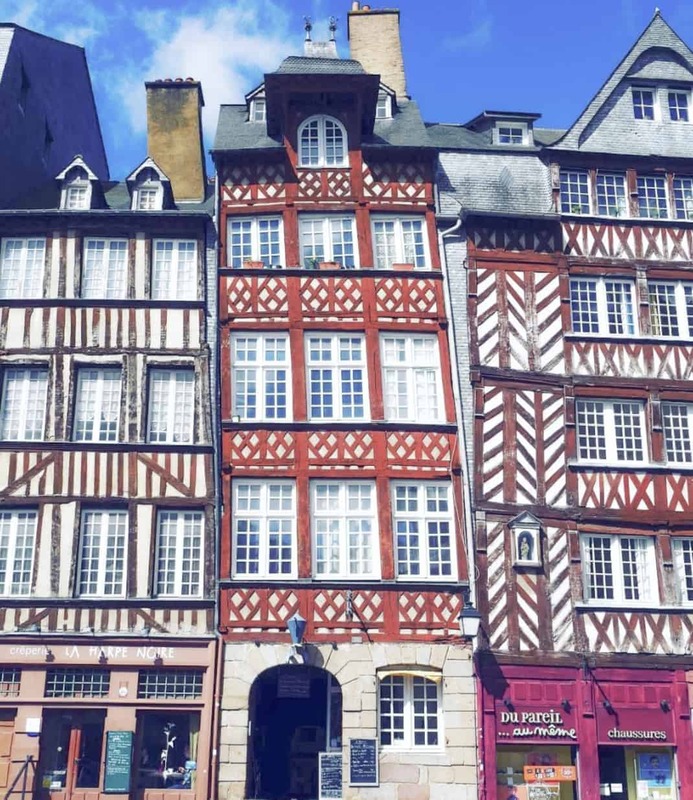 From Dinan, hit the road for another 45 minutes and head for Rennes, Brittany’s vibrant capital. Visit the Musée de Bretagne (Brittany Museum) to learn more about the region’s history and culture. Take a walk in Thabor Park to enjoy the large, landscaped gardens and aviaries. Continue on to the local farmer’s market at the Marchés des Lices for a local snack. Spend the evening walking around old town. The Renaissance style houses are especially beautiful after sunset. Walk by St. Pierre’s Cathedral, the town’s crowning jewel that dates to the 17th century. Don’t miss the Place de la Mairie, in the center of town. This Neo-Classical square is the main entrance into the impressive City Hall with the beautiful rotunda theater directly opposite.